1. 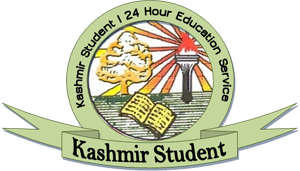 The applicant candidate/s must have passed their 10+2 exam for the Jammu & Kashmir State Board of School Education or any other recognized Board whose examinations have been considered as equivalent to the corresponding examination. 2. The candidates seeking admission to B.Sc programme shall have passed the qualifying exam with not less than 45% marks in case of Open / General Category and 40% marks in case of Reserved Categories. 3. Candidate/s having passed the 12th class examination with Science/Home Science/Commerce subject may be allowed to opt for Arts subjects. However, candidates with non-commerce background seeking admission in commerce stream may have passed the qualifying examination with at least 45% marks in case of Open Category/General Category and 40% in case of Reserved Categories. 4. Forms for UG registration (2019) shall be available Online only. Candidates must follow the instructions. mentioned in the User Guide. strictly for submitting application forms online. 5. The application forms shall be generated on the basis of J&K BOSE Registration Number, in case of non availability of Registration Number on the University 'Website' he/she shall have to visit the University Information Centre of the College, along with all Original Certificates where he/she intends to seek admission. 6. The candidates whose result is awaited or are appearing in the 10+2 exam of CBSE or any other recognized Board or have applied for re-evaluation shall be eligible to apply for provisional admission on their own risk and responsibility on production of an undertaking duly sworn before the 1st Class Magistrate. However, such candidates shall be required to pay a non-refundable fee of Rs. 500/- in lieu of admission fee in the College concerned and their admission shall be subject to fulfillment of eligibility conditions as laid down in the statues. They shall be required to submit the required documents along with the admission and examination fee within 10 days after attaining eligibility. 7. It shall be mandatory for the candidates admitted in the Colleges even on provisional basis to attend the classes regularly as their attendance for eligibility to appear in the semester end examination shall be counted from the date of commencement of class work. 8. The colleges shall ensure that admissions (including late admission) on payment of the late fee as prescribed for the purpose are completed by or before 25th February, 2019 so that class work for 1st semester is started without any delay. Note: No late admission under any circumstances will be entertained after expiry of the last date. 9. The non-government affiliated colleges offering BBA/BCA/B.Sc IT/BMMMC programmes shall be required to contact Dean, College Development Council for admission of candidates in their colleges. Guidelines with regard to subject combination, deposition of fee and examination forms etc are given in the annexure to this notification.